Welcome to this lovely home on a cul-de-sac street in the desirable Vicksburg Subdivision. Located close to local attractions, excellent schools, highway access, & the YMCA, the tree-lined backyard gives the sense of natural living via windows throughout the home. 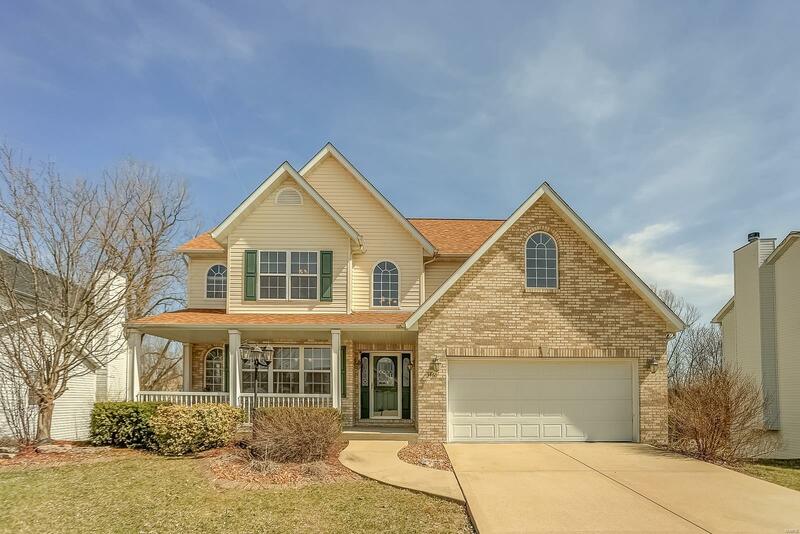 The covered front porch welcomes you into a beautiful two-story foyer entrance w gorgeous hardwood flooring, flowing into an open concept main level adorned w crown molding, gas fireplace, laundry room, formal dining, granite countertops, stainless appliance, walk-in pantry, & access to backyard deck. Master level bedroom is a true retreat w cathedral ceiling, two walk-in closets, & relaxing en suite. Three additional well-sized bedrooms include walk-in closets. Finished lower level walk out perfects this home w ample storage, full bathroom, 5th bedroom, & family room that exits to the fully fenced, semi-private yard backing to trees. A buyerâs warranty & pleasant surprises await to be discovered on your private tour!